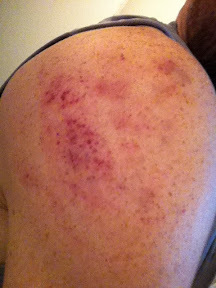 These are clusters of little bruises you get from training in the cage, slamming into and rubbing against the fence. They don't hurt at all. In fact you only notice them if you happen to see them in a mirror.